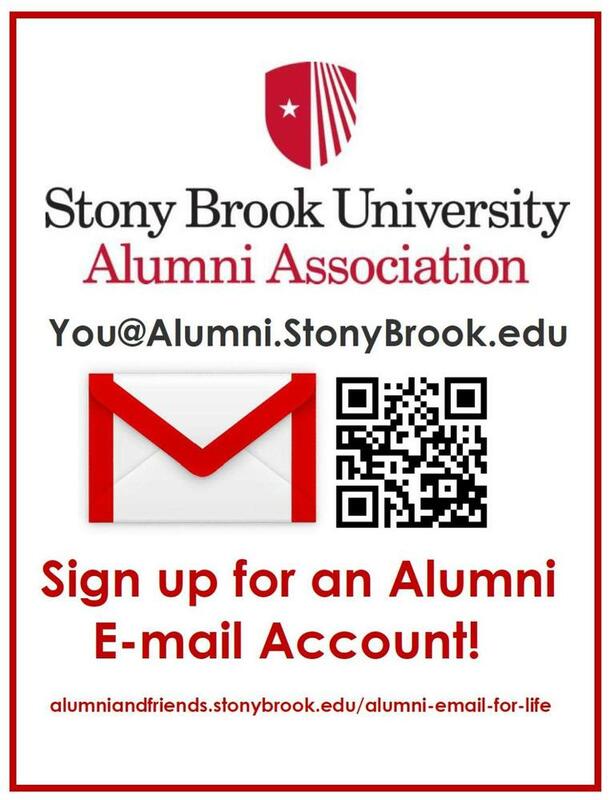 Your Alumni Association strives to help alumni and friends like you remain connected to one another and to Stony Brook University. We invite you to be a part of these upcoming alumni events. • For a full listing of the home and away spring athletics schedules, click here. • Don’t miss your favorite performances at the Staller Center for the Arts. 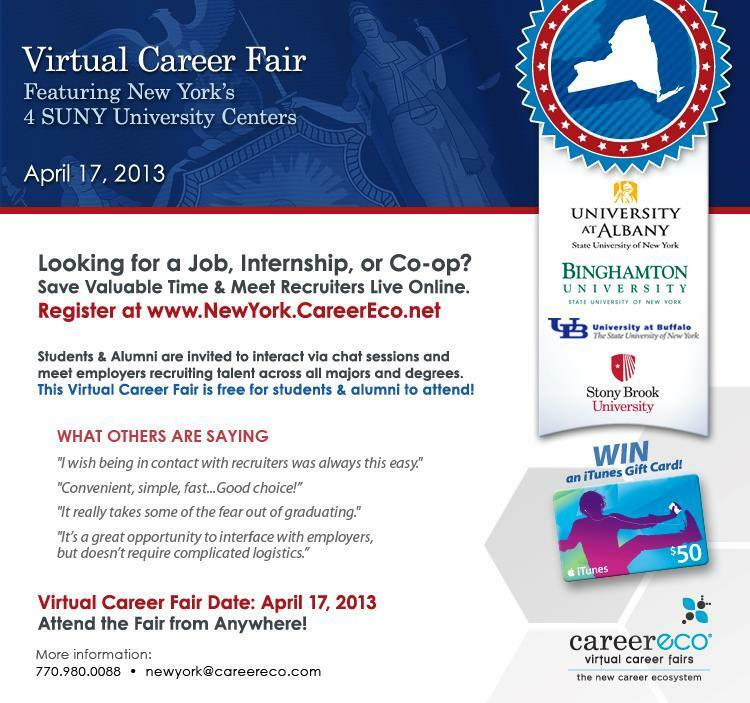 For students & alumni from Stony Brook, Binghamton, Albany, and Buffalo. Full time and summer jobs in all industries will be posted. Stony Brook students are interested in your career path and experiences, and will ask you questions regarding their own career development. Please click here to REGISTER! The deadline to register is Monday, February 4, 2013. Career Center & Alumni Association. If you are seeking a full time job, part-time job, internship or volunteer experience in Engineering, IT, Science, Math & Medical this is the event for you! Here is information on how to register your company. What to bring: Many copies of your resume! What to prepare: Check out the event page on ZebraNet for the companies that will be in attendance. Research them and prepare questions for the recruiters at the companies you are interested in. It is also a good idea to become OCR-eligible BEFORE this event! Check out ZebraNet for the date/times of OCR orientations! Be sure to log into your ZebraNet account and REGISTER for this event! You can search for it under the ‘Events’ tab! Unable to attend but interested in assisting students in their job search process? Want to assist over e-mail or telephone? See the Career Advising Network. New Stony Brook University Alumni Association benefit! Are you looking for a way to give back to Stony Brook University? Become a Professional Buddy and mentor a Stony Brook University student of color for the 2012/2013 academic year through the Diversity Professional Leadership Network. We are looking for professionals with at least 3 years experience in one of the following disciplines: Law, Nursing, Physician, Healthcare Management, Athletic Training, Child Psychology, School Psychology, Marketing, Accounting, Electrical Engineering, IT, and Writing/Editing. Stony Brook University Alumni and field professionals in the area of sustainability and green industries lead a moderated discussion on careers in a dynamic and quickly growing field. Hosted by the Sustainability Studies Department at Stony Brook University in collaboration with the Alumni Association and the Career Center. ABOUT THE PROGRAM: JumpStart NYC is a FREE educational program to help unemployed, experienced business professionals find new career paths by re-tooling them to work at smaller firms, as consultants and/or in new industries. The next JumpStart NYC bootcamp begins on April 16 – 27, 2012, (Monday – Friday) including a “green/sustainability” track providing supplemental information on the “green/sustainable” businesses in New York City for participants who are interested in joining New York City’s exciting “green/sustainable” community. A key element of the program matches participants for a ten to twelve-week pro-bono consulting project (referred to as a “consulting fellowship”). The project enables you to develop new skills, while enabling the project companies to leverage talent and gain insights from an extremely experienced pool of talent. We know – based on our experience – that the program has demonstrated benefit to those who have participated; particularly for those who realize that retraining to work in different businesses could be helpful to them. Monday, March 26, 2012: Participant applications are due by 5 p.m. (seats are limited, so please apply early). Monday, April 16 -27, 2012: “Boot camp” starts (10 days – Monday through Friday); Projects follow the middle of May. For more information, visit our website at http://levin.suny.edu/ or email jumpstartnyc@levininstitute.org. Eduware office assistants and Stony Brook students Jon Calderon (left) and Rohit Kaushik perform a task on the Wizard Testmaker. STONY BROOK, NY, October 31, 2011 – Hiring Stony Brook University students is essential for one local business owner, who this semester alone has added five more to a staff that consists of more than 25 Stony Brook students and alumni. Eduware, a Smithtown-based educational software company, recruits SBU students through the Stony Brook University Career Center for a variety of roles, including, computer programming, graphic design, office management, customer support, social media advertising and more. Owner William Stevens actually relocated his business from Huntington to Smithtown three years ago to accommodate employees traveling from the University. Stevens, a retired public school teacher, has hired more than 50 students and alumni in the past three years and hundreds since he began recruiting through the Career Center in 2000. Today, his staff consists of 26 SBU students, many of whom come from the Computer Science Department; some are also pursuing degrees in business, sociology or one of the sciences, and some are alumni.